Thiruvananthapuram Zoo is located in Kerala state of India. Zoo of Thiruvananthapuram is also known as Trivandrum Zoo. Thiruvananthapuram is the capital city of Kerala. It was established in the year 1859 and one of the oldest zoo in India. Swathi Thirunal Rama Varma built a menagerie to keep wild animals. Later, his Uthram Thirunal and British Resident William Cullen established the museum in 1857. Trivandrum Zoo and park was opened for public in 1859. In 1880, the museum was shifted to the current building. The museum was named as Napier museum in the name of the then Governor Lord Napier. Later in 1935 Sree Chitra Art Gallery was established here. The Natural History Museum and K C S Panickear Art Gallery was built here in 1964 and 1979. The zoo complex spreads in an area of 55 acres. More than 100 species of animals and birds are present here including endangered species. Thiruvananthapuram Zoo houses hundreds of animals, birds and reptiles of around 100 species. The list of animals consists Lion Tailed Macaque, Nilgiri Langur, Lion, Tiger, White Tiger, Leopard, Jaguar, Jungle Cat, Spotted Deer, Hog Deer, Barking Deer, Sambar Deer, Black buck, Cape Buffalo, Zebra, Blue bull/Nilgai, Swamp Deer (Barasingha), Sloth Bear, Himalayan Black Bear, Striped Hyaena, Jackal, Porcupine, Hippopotamus, Indian One Horned Rhino, etc. List of Bird includes Spoonbill, White Ibis, Grey Heron, Grey Pelican, Rosy Pelican, Adjutant Stork, Black-necked Stork, Painted Stork, Egrets, Oriental darter, Pond heron, Purple Heron, Scarlet Macaw, Green winged Macaw, Blue and Gold Macaw, Greater crested Cockatoo, Palm Cockatoo, Violet Turaco, Mandarin Duck, Black Swan, Grey Rhea, White Rhea, Ostrich, Brahmini Kite, King Vulture, Cinereous Vulture , Peafowl, Pariah Kite, White-bellied Sea Eagle, Emu, Parakeet Alexandrine, White Peafowl, Rose ringed Parakeet, Blossom headed Parakeet, Golden Pheasant, Moustached Parakeet, Quail, Silver Pheasant, Kalij Pheasant, etc. List of reptiles and snakes includes King Cobra, Indian Cobra, Indian Rock Python, Green Anaconda, Trinket Snake, Water Snake(Checkered keel back), Rat Snake, Sand Boa , Indian Black Turtle, Land Tortoise, Starred Tortoise, Marsh Crocodile/ Mugger, Spectacled Caiman, Gharial etc. 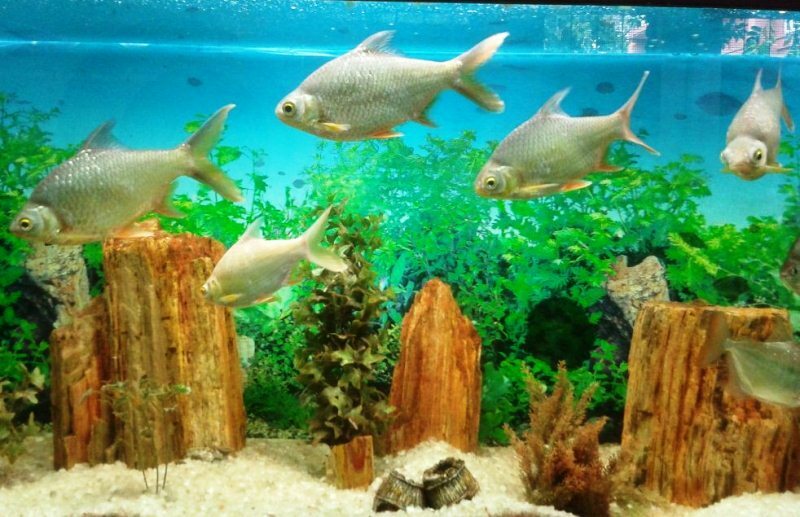 An aquarium also opened in Zoo in the old reptile house with 15 species of fishes for visitors entertainment. A botanical garden in the Zoo complex is huge and it spreads in the whole zoo. Thousands of trees, ornamental flowers of more than 200 species are present here. Zoo complex also houses a lake and a Children’s park. A 3D theater is located near the children park and it plays 30 minute movie for the visitors. Trivandrum Zoo timings are 9 AM to 5.15 PM everyday except Monday. Zoo remains closed on every Monday due to weekly off. Sri Chitra Art Gallery and KCS Paniker Gallery visiting timings are 10:00 AM to 4:45 PM and on Wednesday it remains open from 1 PM to 4.45 PM. Weekly off is Monday. Thiruvananthapuram zoo ticket price are divided in multiple categories. Full detail of Trivandrum zoo fee is listed below. Entry fee of Thiruvananthapuram Zoo is affordable and pocket friendly. The adult person entrance fee is 20 Rs and children from 5 to 12 years has to pay only 5 Rs. Kids under 5 years are eligible for free entry. Family ticket is a very convenient and cheaper option to visit the Zoo. Group tickets are also available on relatively cheaper price which is useful for large groups, especially schools. Car parking charges are high and it costs 150 Rs. 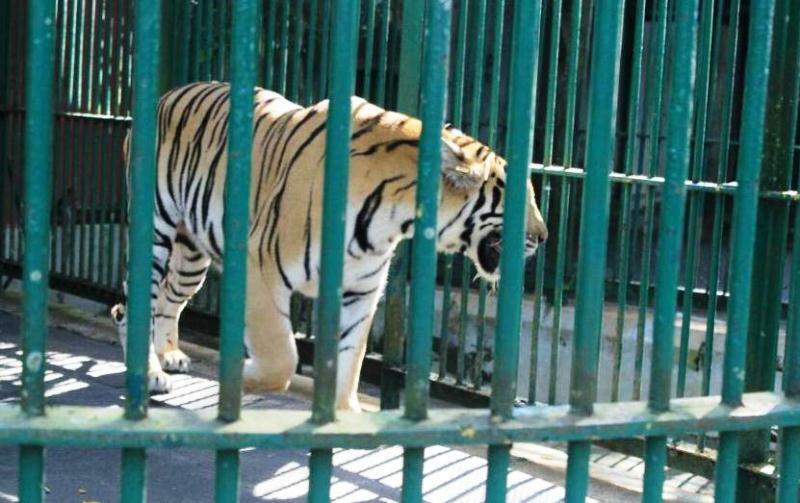 Digital and video cameras are allowed inside the zoo premises. Digital camera charges are 500 Rs and hand held video camera charges are 100 Rs. The electric car facility is available for the convenience of visitors and details price list is available on above table. Battery operated car charges are 50 Rs and ticket for 3D Theater cost 20 Rs. Various amenities are available inside the zoological park for the convenience of the visitors. List of facilities includes Battery car, resting areas, drinking water, toilet, KTDC Restaurant, Ice cream Parlor and Canteen. Battery car is very convenient for the visitors who are unable to walk for long distance or visitors with kids or senior citizens. Multiple resting area is also available inside the zoo. Clean drinking water and clean washroom are present in the zoological park. Car parking is available for the visitors. A canteen is located near the Natural history museum. KTDC Restaurant and Ice cream parlor are located near the Zoo entrance on the right side. Trivandrum Zoological park is located in the middle of the city and the location is very convenient for the visitors. Thiruvananthapuram Zoo to Railway station distance is around 4 KM and Airport distance is just 6 KM. Various modes of transport can be used to reach the zoo. Thiruvananthapuram is a coastal city and it is well connected to the various parts of the country. Journey to the zoo can be covered by city bus, private cabs, auto rickshaws, etc. Museum Bus Stop is the nearest bus stand. This zoo is very popular among the localities and it must be included in the list of must visit places of Thiruvananthapuram, Kerala.